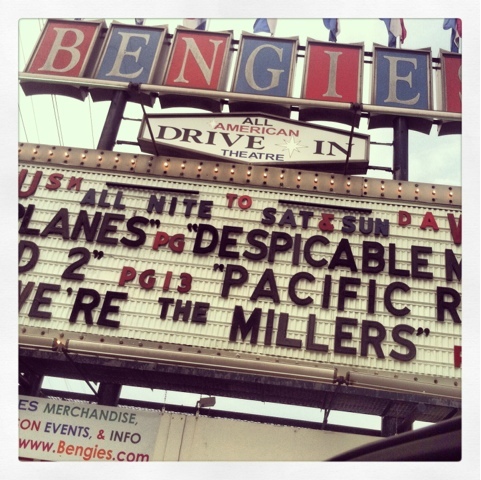 Tonight's blog is postponed due to the dusk to dawn show at the Bengies Drive-in! Playing tonight are DESPICABLE ME 2, PLANES, RED 2, PACIFIC RIM, and WE'RE THE MILLERS. Will we last for the whole, all night show? Doubtful. I had a nap this afternoon, so I'm feeling good right now. My darling daughter will likely be passed out by the end of the second movie! They're doing another all-night show tomorrow night, so come on out and enjoy a night at the drive-in!